Day hiking: the versatile term that can mean anything from a half-mile stroll around a pond to a twelve-hour excursion in the mountains. Even if you’re on a camping trip and have a base camp set up elsewhere, any excursion out onto the trail that does not require an abundance of overnight gear can be considered a day hike. The gear you will need to bring for a day hike can vary greatly depending on what kind of hike you will be doing as well as its length. General guidelines for most day hikes includes the “ten essentials,” the ten items that will provide the most benefit for most situations you will face on the trail. The idea of the ten essentials first appeared in the 1974 edition of Mountaineering Freedom of the Hills, which is considered the standard textbook for mountaineering. Today, most outdoors and scouting organizations teach the ten essentials as the standard to carry with you on outdoor excursions and are part of a day hike checklist. The ten essentials can vary depending on personal preference, but first let’s go over the standard ten and then you can add, subtract or modify items according to your personal hiking needs. Today, we pretty much rely on our devices for navigation. Phones can be a great tool for navigation outdoors… when their batteries are full and they have service. Since some of the best places are spots where neither of those things are guaranteed, it’s best to have the old classic map and compass with you, even if only as a backup tool. Learning old school navigation techniques is not only impressive to your hiking buddies, it could save you from getting lost or off track on the trail. Maps are fantastic because they give you a lot of information in addition to your desired route. Peaks, lakes, and creeks that are hidden from view on the trail can be discovered by spending a little time with the map and add to the adventure. 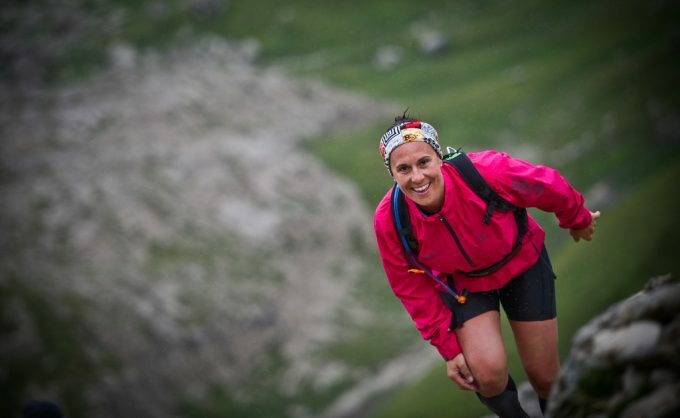 You can also devise new routes by joining parts of different trails to personalize your hike. Different navigation tools can be used separately or in conjunction with one another. 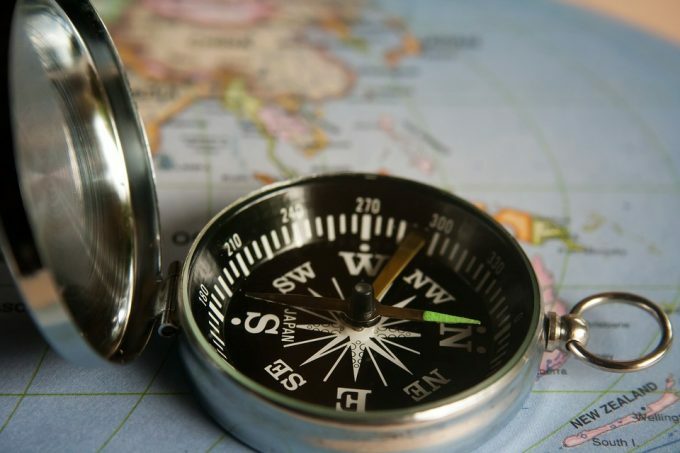 Some of the most common ones include GPS, altimeter, and map and compass. Navigation tools don’t only keep you safe, they can also contribute to you having an awesome, enriched hiking experience. This one should be a given—it’s arguably the most important item on the Ten Essentials list. Water is heavy! Knowing how much to carry depends on how far you’re going to be hiking, and whether you plan to replenish your water supply from natural sources on longer hikes. 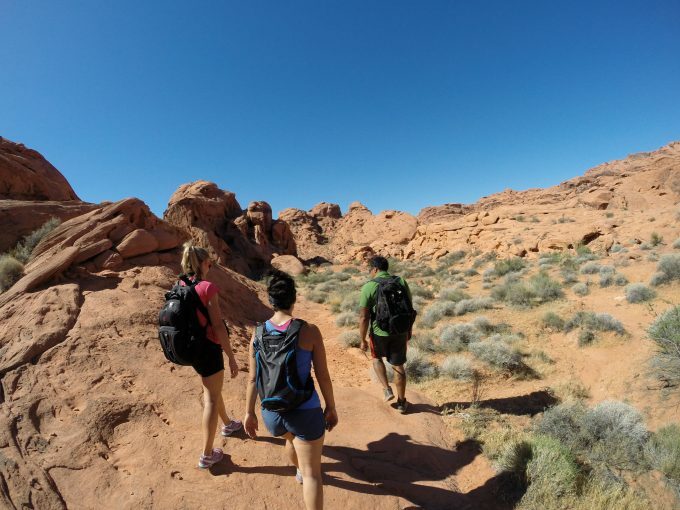 A 17-mile hike in the desert Southwest could require you to be prepared to refill your water bottle from pools of water or springs to ensure you are well hydrated. You’re probably most inclined to increase your water intake when it’s hot outside, but don’t fall into the winter dehydration trap. While you might not feel as thirsty as you do in the summer when it’s cold outside, it is just as important to keep up your water intake in the winter. 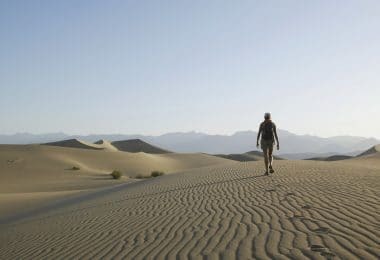 The air can be drier than it is in the summer, and a sustained high-intensity exercise effort can contribute to water loss at a similar rate as summer exercise. There are plenty of options for water containers, including water bottles, hydration bladders, and collapsible water bottles. When it comes to purifying water you find along the trail, water pumps, chemical tablets, and filtration straws are all good choices. When hiking in really hot conditions, hyponatremia (a physiologic salt imbalance due to a high intake of water) can be a risk. To combat hyponatremia, up your intake of salty snacks like pretzels or mix an electrolyte powder into your water. Finally, don’t wait until you’re thirsty to drink! As difficult as it can be sometimes, trying to stay ahead of your thirst and drinking water at a continuous rate is the best way to stay hydrated. 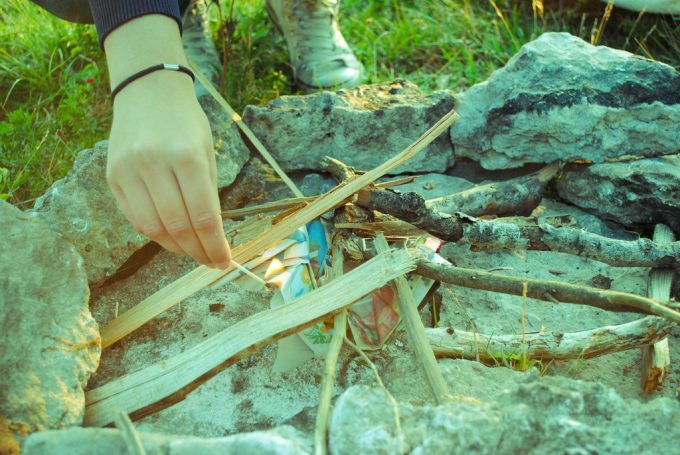 One or more methods to start a fire are included on the list of the ten essentials. A lighter and matches stored in a waterproof container are the easiest, most common options for fire starters. A great fire starter is cotton balls soaked in Vaseline and stored in a film canister, or dryer lint. These are light weight and easy to incorporate in your fire starting kit. Keeping your fire kit dry is essential. A hat, sunglasses, and sunscreen will help keep you protected from the sun and harmful UV rays. Depending on the environment you are hiking in, you might want a long sleeved shirt as well. Trying to sleep in a sleeping bag the night after a bad sunburn is not pleasant. Nor is wearing a backpack for miles with it rubbing tender, sunburnt skin. Outdoor fun is much more fun when your skin isn’t in pain. One overlooked spot that gets commonly sunburnt is the lips, but there are lots of lip balms that include SPF in them. This is a day hike, why do you need a source of illumination? Sometimes day hikes can turn into night hikes either on purpose (“Hey look at this awesome vantage point, I bet the sunset would look awesome from here!”) or on accident (“Oh yeah, I can definitely cover the eight miles back to my truck in these last two hours before sunset”). Even if you aren’t doing any night hiking, a headlamp can make exploring caverns and hollow logs more fun. 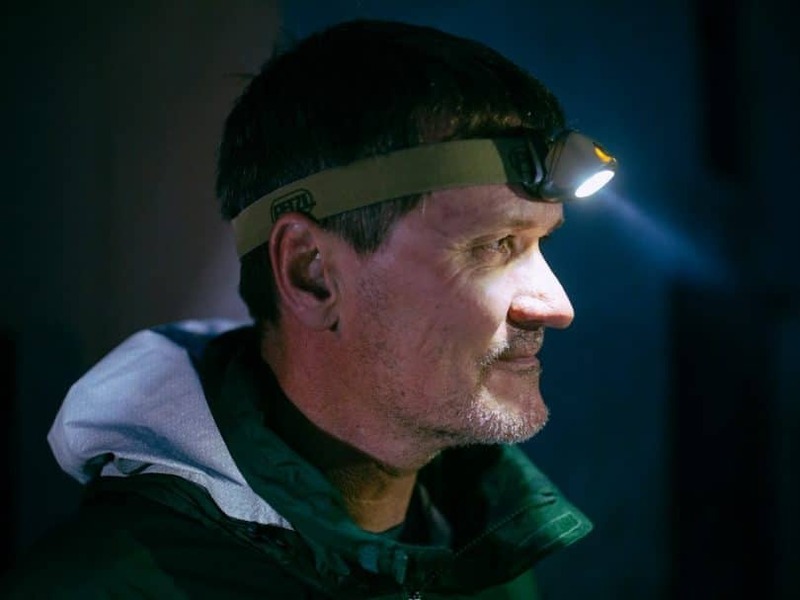 Headlamps have a tendency to get accidentally switched on by bumping into other items in your pack, so having extra batteries along is always a good idea to make sure that your light source will actually work when you want it to. A dimming headlamp is a good indication that the batteries could be dying. There are lots of flashlights that don’t even require batteries—they can be solar powered or powered by a hand crank, which is good for emergency or outdoor use. 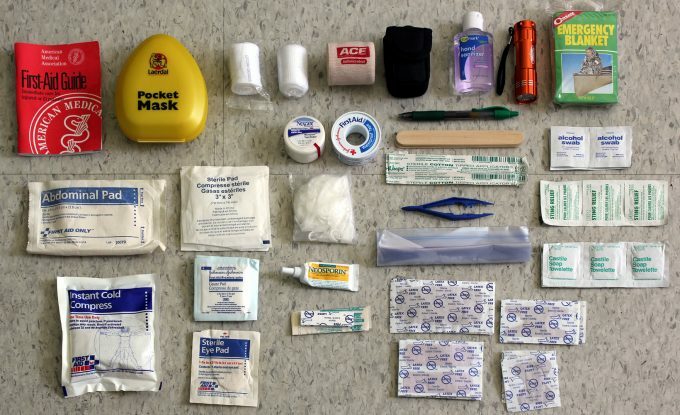 The extent to which you want to pack first aid supplies can vary widely depending on your terrain or specific medical needs. Blisters are probably the most common hiking injury, so blister care items like Band Aids and moleskin can be important to keep in a first aid kit. 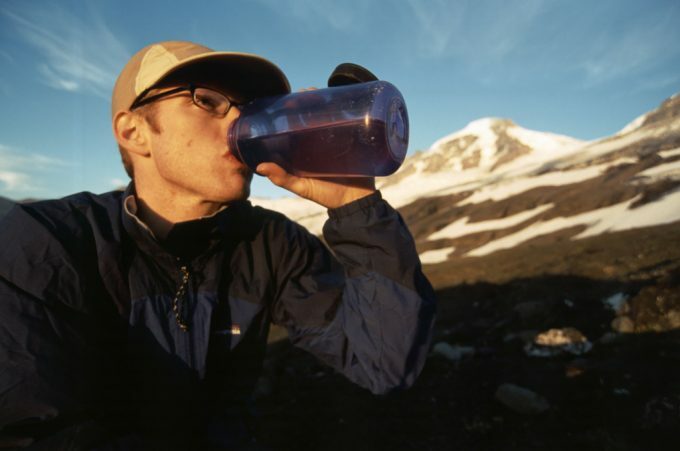 Electrolyte powder is good to carry to help combat dehydration. Pain relievers like aspirin and ibuprofen can help ease the pain on the trail, including blister pain. Benadryl or another antihistamine is good to carry for insect stings or allergic reactions to environmental allergens and food. As far as bandages go, fabric bandages generally hold up better to the environment than plastic ones do. Butterfly bandages are preferred for closing wounds and gashes. Gauze pads, athletic tape, athletic pre-wrap, antiseptic wipes, and antibacterial ointment are other wound care essentials. If you or someone you are hiking with has an allergy to stinging insects, be sure to have your Epi Pen with you if you have one prescribed. First Aid kits can be really extensive, so pack yours to your comfort zone with the hazards you might encounter on your trip in mind. Trail snacks can be a great pick me up for when you’re getting a little tired or need a break in your hike. Or maybe you found an awesome view that would be made even more awesome with a bag of trail mix. The number one rule of day hike nutrition is to pack snacks that you actually like. 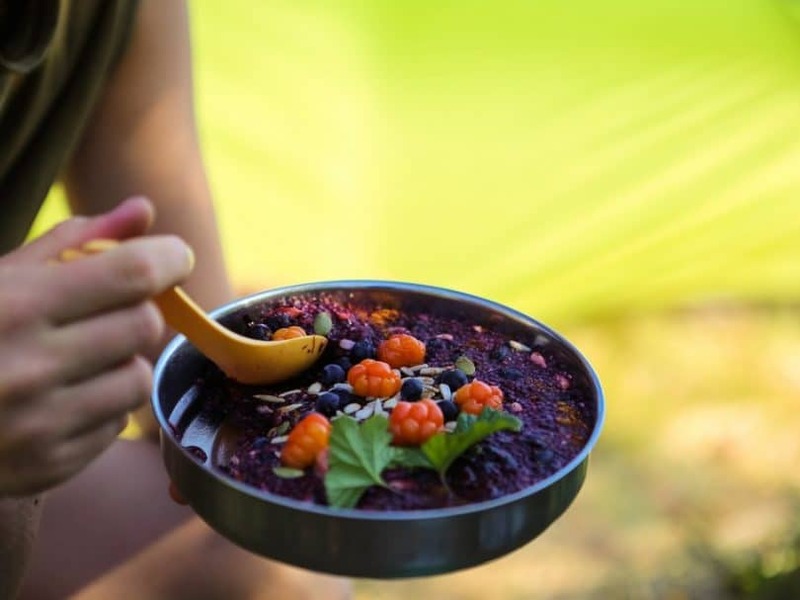 Check out our guide of the best hiking snacks that are nutritious, as well. Hiking is supposed to be fun and enjoyable, and you want to enjoy eating the food you brought along. There are lots of classic “hiking foods” like energy bars and gels and premade trail mixes, but bring along whatever food you like and won’t get crushed in your pack. The Ten Essentials guidelines recommend bringing along enough food for an extra day in case your trip ends up being extended. Another item recommended as one of the Ten Essentials is an emergency shelter of some kind. This can be as hefty as a tent or as small and unassuming as an emergency blanket weighing just a couple of ounces. Some people prefer to bring along a bivy, which will provide more protection than an emergency blanket but is not as bulky as an entire tent. 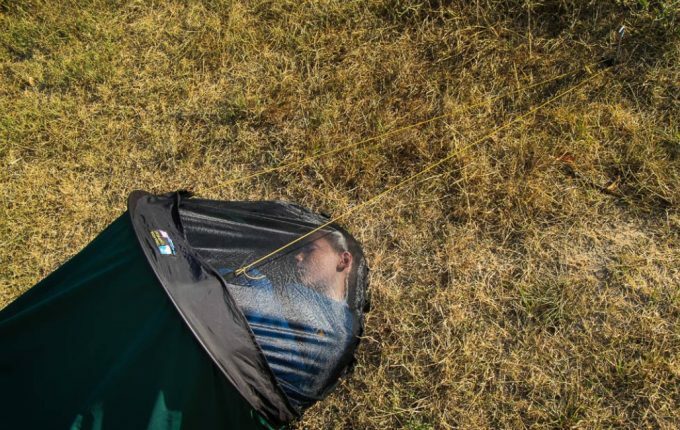 See our list of the top bivy sacks to take care of your comfort while in the wilds. Either way, these items will really come in handy if you are faced with any kind of inclement weather or unplanned overnight stay. An emergency blanket is especially useful because it can be used to cover an injured person and help them retain their body heat, as well as help to reduce hypothermia in injured hikers. Many emergency blankets are reflective or orange, which can be spread out to aid rescuers spotting from above. For most day hikes, a tent is a little excessive as it probably won’t be used and takes up a lot of pack space and weight. A bivy or emergency blanket is usually your best bet. This one is only necessary if you actually have gear with you that could need to be repaired. 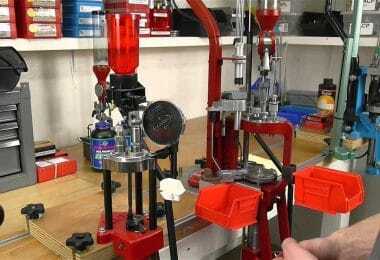 Some examples are camp stoves, tents, and complicated water filtration systems. A good multi-tool can work wonders for any number of tasks, including sawing small pieces of branches, cutting and trimming rope, opening cans, spreading peanut butter, and the list goes on and on. You can also bring a knife, but usually, blades are included in a multi-tool. Cable ties are lightweight and easy to carry and can come in handy for securing gear to your pack and building shelters if need be. If you think you might need to answer nature’s call on the trail, (well not on the trail, preferably a couple hundred feet away…) a small trowel can be of assistance. 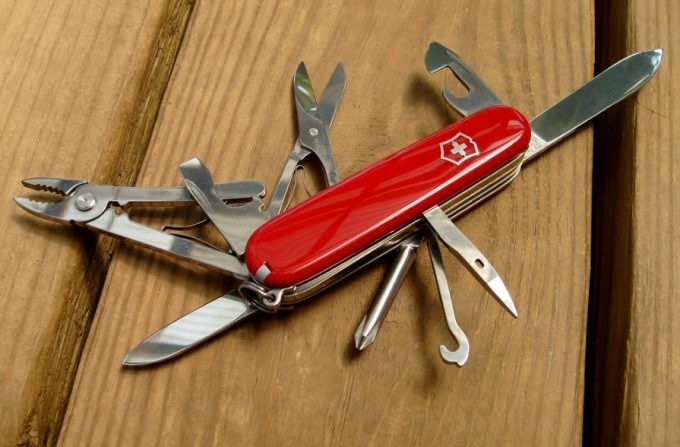 For the best Swiss army knife that won’t let you down, do read our article on this. Check the forecasted low for the evening of your hike, and pack clothes that would keep you warm for that temperature, not the high for the day you will be hiking. It’s easy to get hot and sweaty when hoofing it up and down hills for miles, but if you stop to take a break or need to spend the night outside, it starts to feel cold fast. You’ll be grateful for an insulated vest or jacket. A down coat packs down to a small, lightweight bundle that fits easily into a pack and is very compact. 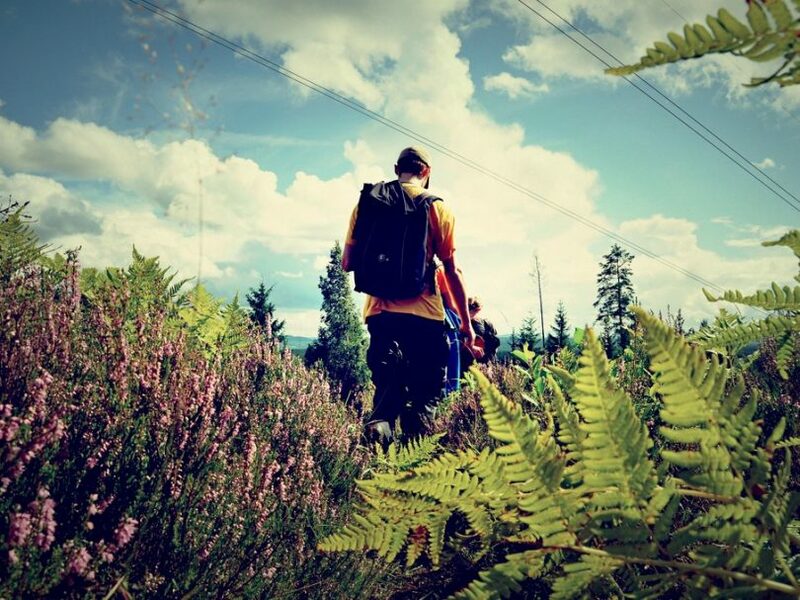 While we’re on the topic of clothing, let’s talk about the “do’s” of hiking attire. As a general rule, cotton is a no-go because it holds on to water and sweat and can cause you to lose heat more quickly and does not dry very quickly. Most people prefer to wear fabrics that have wicking properties because it helps keep you dry and not as smelly. If the trail you’re going to be hiking is overgrown or narrow, prepare for the possibility of ticks and poison ivy by wearing long sleeves and long pants if necessary. Winter hiking comes with its own set of guidelines for what to wear, but layers rule when it comes to outdoor activities! Some people like to hike in boots with lots of ankle support and stiff bottoms, while others prefer their sneakers or trail running shoes. Thick socks can help to prevent blisters; the key there is to avoid rubbing of the shoes on your feet. That wraps up the Ten Essentials recommended as general guidelines to follow when packing for your outdoor excursion. 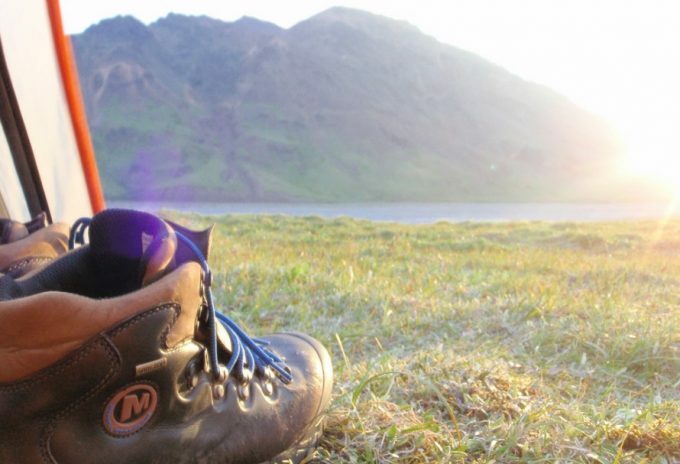 There are a few more things to think about when packing for a day hike, however. The first and foremost is your pack. Choosing a pack size and build is important for having an enjoyable hike when you’re carrying extra gear, water, food, and clothing. There are plenty of reputable brands that make packs out of durable, weatherproof materials that won’t tear or stain easily. Most packs for day hiking are about 30 liters in volume, which is plenty of room to store your Ten Essentials and more. Different pockets can help you keep gear organized, and side pockets for water bottles are great because it helps keep water accessible. Some packs include a slot for a hydration bladder and a small hole for the drinking apparatus to fit through. You can buy a woman-specific pack, as well, which has contoured shoulder straps. If you are a casual hiker and aren’t putting in many miles, you will be fine with just about any backpack. The higher you go in quality, however, the more features you’ll get on the pack. The biggest benefit to having a higher quality day pack is the design of the padding and the shape of the pack. These packs are designed to keep the weight load closer to your back so it’s not bouncing around everywhere or hanging too far back, causing backaches. Something else worth considering is a pack cover and rain jacket for wet weather. Pack covers come in all sizes, but you can use a 99 cent plastic poncho to cover both yourself and your pack for much cheaper than a rain jacket and pack cover! Staying dry is a priority in survival situations. Of course, plenty of day hikes end with the goal of taking a swim in a waterfall or hot springs, but if you want to stay dry a packable rain jacket and pack cover could be worth it. There are plenty of gear items that are helpful on day hikes, so here are a few more ideas. 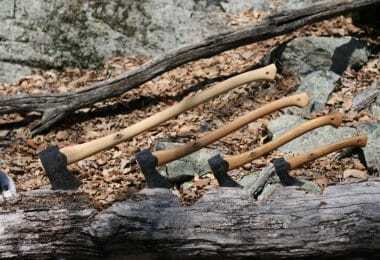 Trekking poles can be helpful for hikes of any distance, especially uphill hikes. Trekking or hiking poles can take some of the weight off of your knee and hip joints when traveling uphill, helping to make your hike more enjoyable. Field guides and guidebooks are great resources not only for planning your hike, but also for enriching it by providing background information and historical facts about the places you’ll be seeing on the hike. 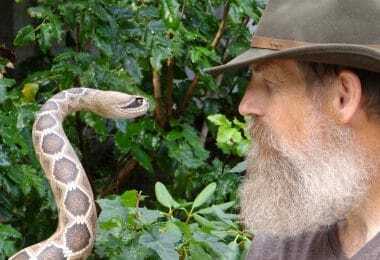 Learning plants and animals that you see on your hike can also make it more interesting! 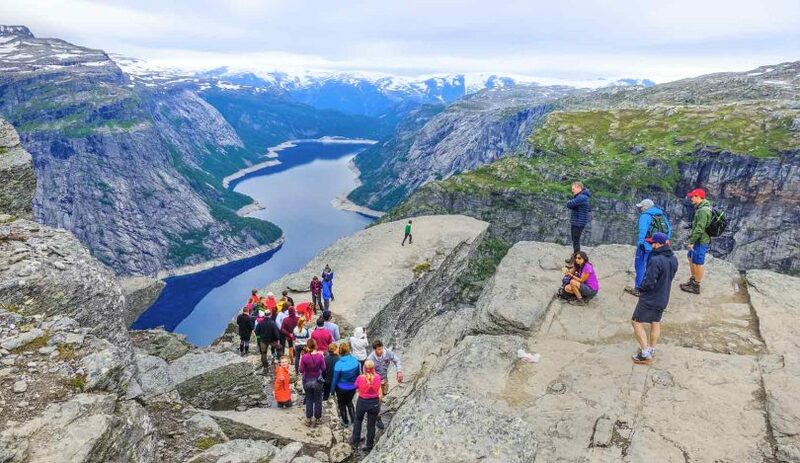 A phone or camera can help you document the highlights of your trip. Finally, a bottle of bug spray and/or bug net clothing can ease a lot of misery at times! Day hikes come in all locations, distances and weather conditions—it is completely what you make of it. Think about the conditions you might encounter along your hike and how much time you plan on being out before you start packing your gear. 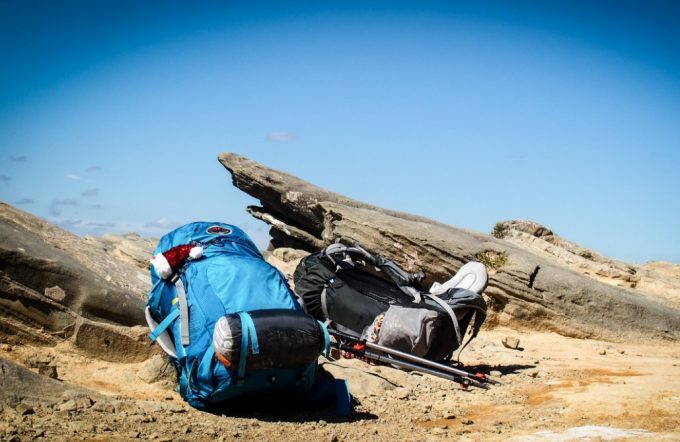 There’s no need to overpack and be bogged down by excessive gear like you’re preparing for the apocalypse if it’s a short, flat hike on a sunny day, for example. But being overprepared is smart, so having essential items on hand can help you handle situations that don’t exactly go according to the plan. Be smart, tell someone where you’re going, and have a great hike!